Perfect for wedding day glamour Peach Passion crystal hair pins are 1950s inspired pops of pastel colour. Fans of vintage hair accessories will adore the combination of femininity and the beauty of Summer hues in our Peach Passion Hair Pins. 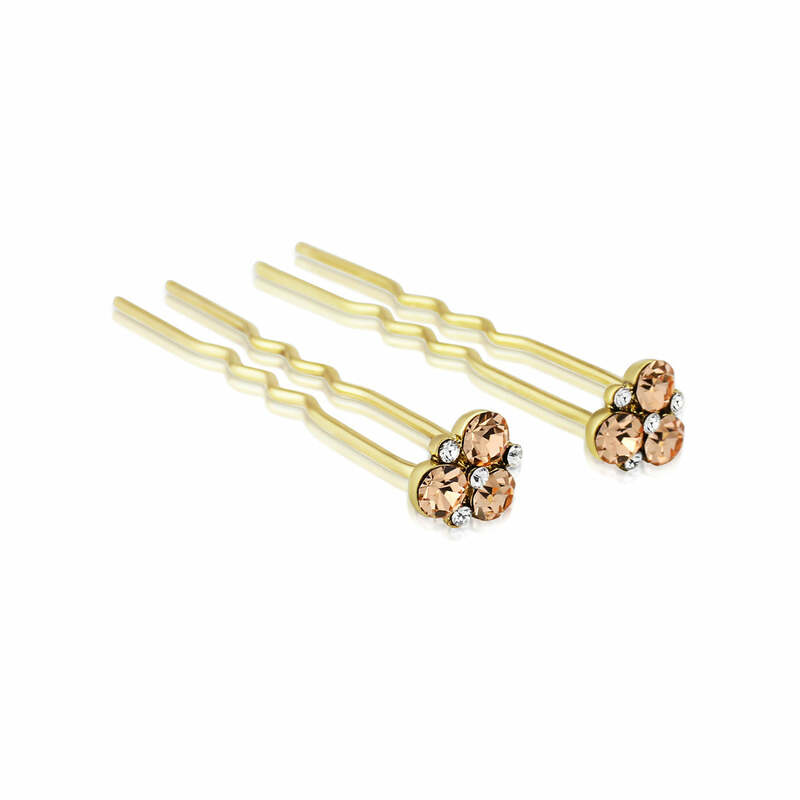 Featuring a petite bejewelled adornment of peach and pale peach crystals, this pretty pair of pins will add delicate sparkle to a chic up-do. Oh-so-versatile they will add glints of pastel glamour to a chic French pleat or chignon or will sit along the band of a swinging ponytail bringing a touch of elegance to a timeless style. With a hint of retro charm, Peach Passion will accessorise Rock 'n' Roll bridesmaids style for a hip 1950s wedding theme. Team our beautiful mix and match jewellery with full skirted dresses and ribbon tied posies and your colour scheme will come alive with colour pop sparkle.